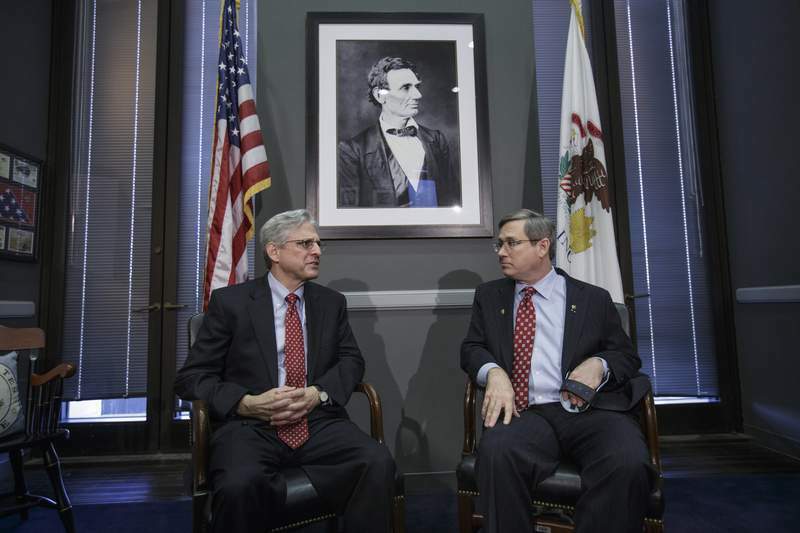 Associated Press Supreme Court nominee Merrick Garland, left, meets with Illinois Republican Sen. Mark Kirk on Capitol Hill this week. Kirk is one of a handful of Republican senators who supports giving Garland a hearing on his nomination by President Barack Obama. Fifty-eight Indiana law professors have signed a letter urging U.S. Sen. Dan Coats, R-Indiana, to give Merrick Garland a hearing. As President Barack Obama’s nominee for a seat on the U.S. Supreme Court, Garland has become the judicial equivalent of the Maytag repairman, with few Republicans willing even to meet with him. Sen. Joe Donnelly has urged his colleagues to do their jobs, evaluating Garland and voting to confirm or reject him to replace the late Justice Antonin Scalia. The Indiana Democrat, in fact, sat down with the nominee on Monday, a wholly symbolic meeting since the Indiana Democrat is not even on the Senate Judiciary Committee, which would have to clear Garland before a vote by the full Senate. The law group included professors from Indiana University’s Maurer and McKinney Schools of Law, Valparaiso University Law School and the University of Notre Dame Law School.